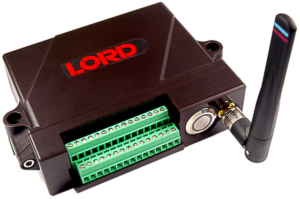 LORD MicroStrain offer a robust and scalable wireless sensor network which incorporates both their own sensors as well as any strain gauge based or VDC output sensors. Options also include nodes for thermocouple inputs, piezoelectric accelerometer inputs and DVRT inputs. 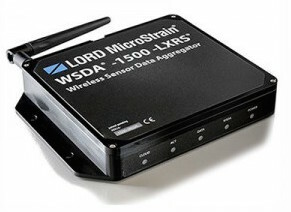 The LXRS wireless protocol from LORD Microstrain is a 2.4GHz IEEE 802.15.4-compliant communication architecture featuring LXRS® (Lossless eXtended Range Synchronized) data. LXRS combines microsecond time-synchronization with a scalable star network. User controllable sampling rates are automatically coordinated over thousands of wireless sensor nodes, all with 100% reliable data throughput under most operating conditions. Software platforms streamline network configuration by allowing users to easily control sampling settings, data acquisition preferences, and deploy custom alerting, reporting and analytics. As a result, users can readily connect with their data and distill actionable information either locally via SensorConnect or autonomously on SensorCloud™. Lord MicroStrain offer a full suite of software and also offer a full SDK for integration into customer systems. 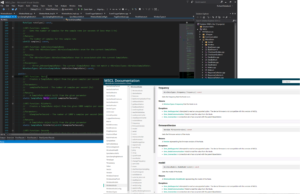 The MicroStrain Communication Library (MSCL) makes it simple to write code that interacts with our Wireless sensors. It is hosted on GitHub and is completely open source under the MIT License. Full documentation, example code, and a quick start guide are provided to help you get started.